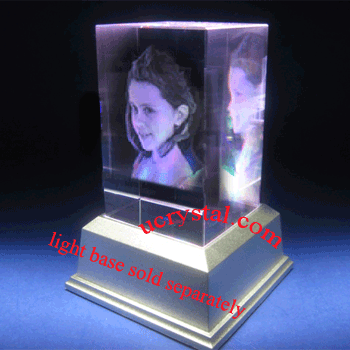 3D or 2D Selection: 2D - 5-1/8" x 4-3/8" x 2-3/8" 3D-1head shot(+$18.00) -5-1/8" x 4-3/8" x 2-3/8" 3D-2head shots(+$36.00) -5-1/8" x 4-3/8" x 2-3/8" 3D-3head shots(+$54.00) -5-1/8" x 4-3/8" x 2-3/8" 3D-4head shots(+$72.00) -5-1/8" x 4-3/8" x 2-3/8"
Our 3D extra large photo crystal heart for has been very popular as wedding anniversary gifts. 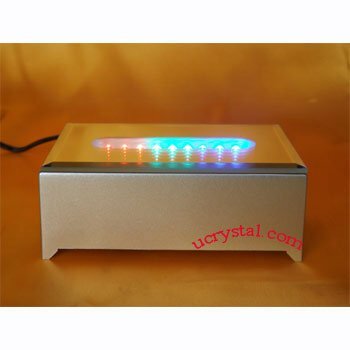 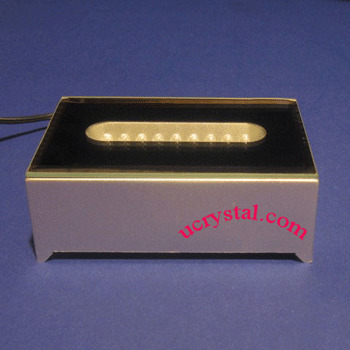 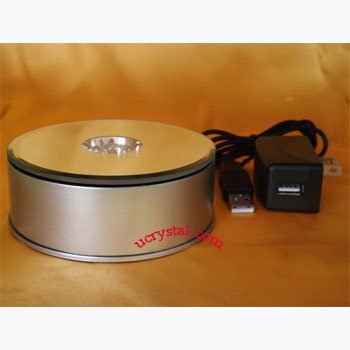 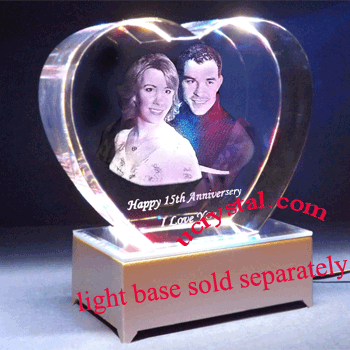 It is also widely ordered as a wedding gift, engagement gift, and Valentine’s Day gift. 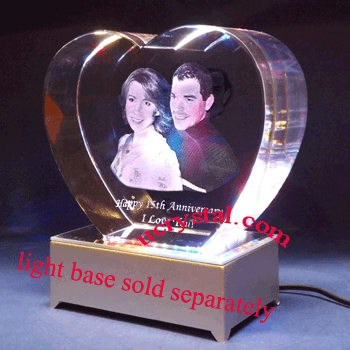 The crystal is carefully polished into a heart shape. 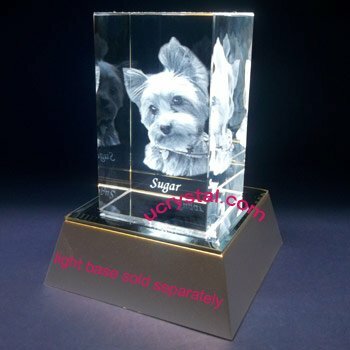 The example on the left is personalized with 3D laser crystal engraving. 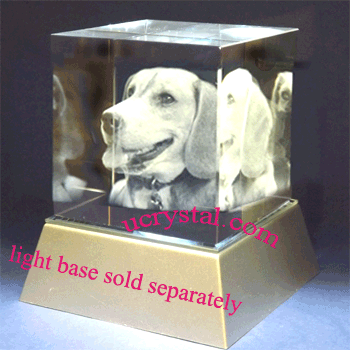 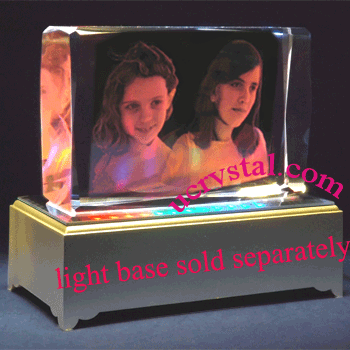 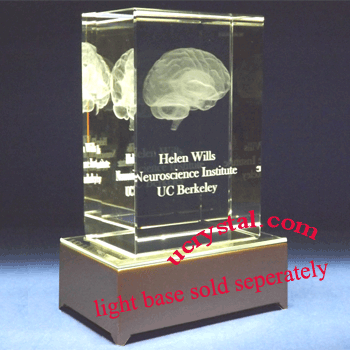 With a single one-dimensional photo, we were able to reproduce the vivid scene from 15 years ago in 3D and laser engrave it inside the crystal. 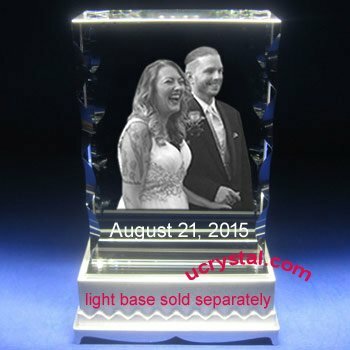 15 years has gone by, but their love has never faded. 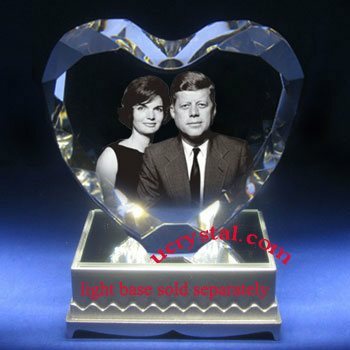 Happy 15th Anniversary! 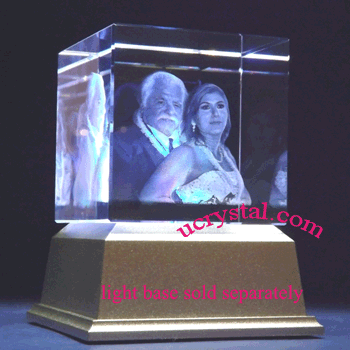 For a 360 degree view of one of the 3D engraved photo crystal heart, please watch the video linked on the home page. 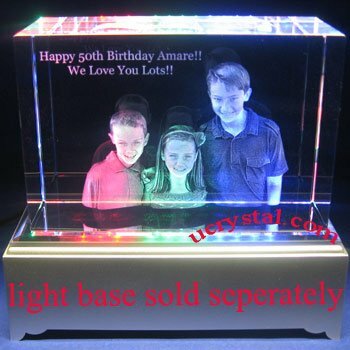 3D photo crystal heart - XL. 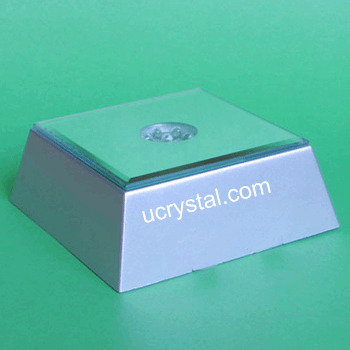 Size: 5-1/8" width x 4-3/8" height x 2-3/8" thickness. 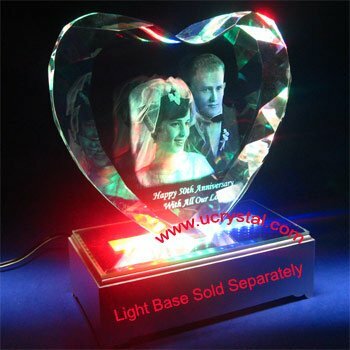 Are you planning your engagement or your wedding day? 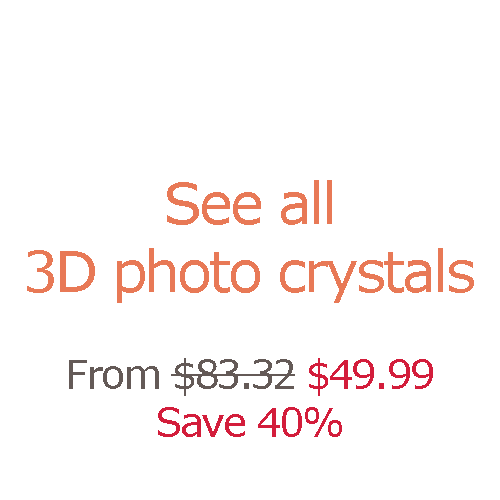 Don't forget to make this 3D photo crystal heart as part of your special moment. 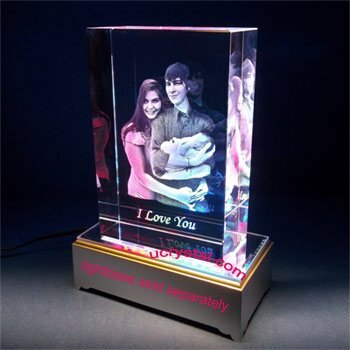 It will amaze your love one.